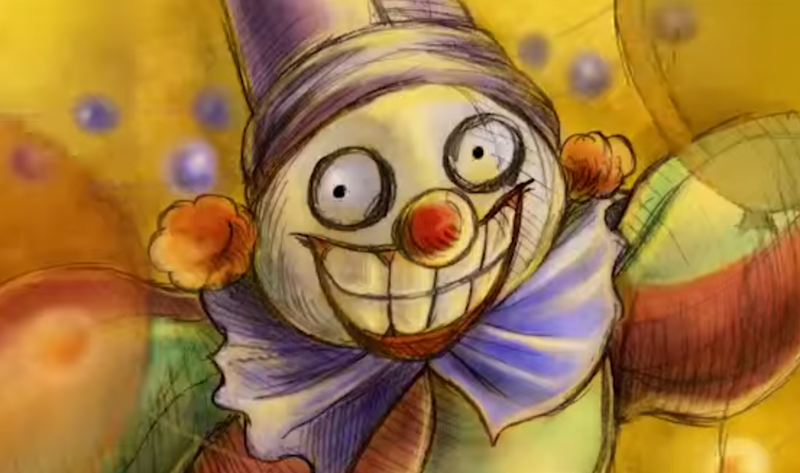 It should be no surprise that when it comes to horror cartoons, nothing sends your Revenge Honey into panic shivers faster than animated clowns. So today, the Honeys bring you Hadas Brandes's Escape from Hellview: a cartoon that basically doubles for every childhood nightmare I ever had. If you were ever the kid that refused to go to bed when your parents told you to, this cartoon would have convinced you of the virtues of early bedtime. When little Timmy disobeys his mother's orders to go to sleep and decides to have some nighttime adventures, he instead discovers a world of evil clowns, hellish creatures, and well-crafted metal music. Escape from Hellview is the kind of horror cartoon that will linger with you long after the terrifying final moments.